Summer is officially here according to school calendars everywhere (or it will be in a matter of a few days)! Road trips, late night Sonic runs, visits to the local swimming pools, and summer camp care packages are likely right around the corner and calendars are likely filling up with loads of fun activities. It’s an exciting time of year for everyone, but the question we want to pose to you this year is, “Will it be a significant summer?” You may be wondering, “What would make it a significant summer?” We’re glad you asked! The Watermark Kids team has put together a “Significant Summer” activity book to help you define what would make a summer significant and give you a simple pathway to assuring your family makes the most of your opportunities these next 3 months. This is not just a resource, it is a mission we want to charge every family with, a call to intentional discipleship within your home. As a church, we measure our success on our ability to be and make disciples. Why should we measure success within our homes any other way? We’ve also included the “Significant Summer” poster for you to print, stick on the refrigerator or bulletin board and place stickers on to track your family’s journey! At the heart of this mission, we’ve identified 4 primary areas of discipleship that deserve our attention: Rest, Serve, Grow and Play (R.S.G.P.). Within this booklet, you’ll find definitions for each one, as well as verses for your family to memorize, reminding us of God’s truth. Additionally, we’ve offered a few simple suggestions for ways you could put these principles into practice. Our hope is that you will lead your family to R.S.G.P. your way to a Significant Summer! Several years ago, John Piper wrote a book entitled Don’t Waste Your Life. In it, he spoke of a plaque that hung in his house growing up that contained this simple inscription: Only one life, ‘Twill soon be past; Only what’s done for Christ will last. As parents, our one life includes 18 summers with each of the children God entrusts to us. 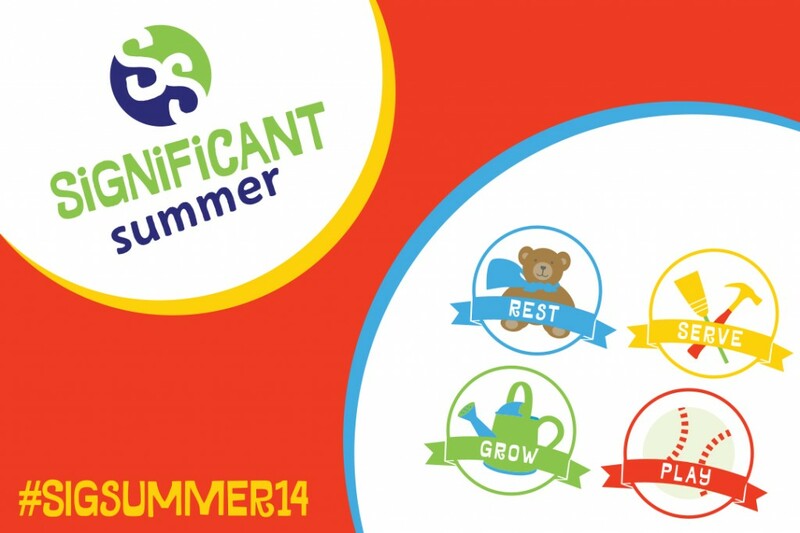 “Significant Summer” is a call to invest in the things that will last for eternity in your life and the lives of your kids. Will you accept the call? The post Significant Summer 2014: A Family Mission appeared first on Watermark Community Church Blog.